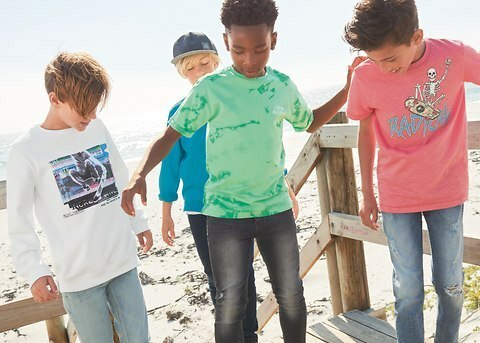 With stylish partywear, laid back looks and casuals inspired by the latest trends, browse the brilliant older boys' clothing ranges for this season. Explore the cosy stories for laid back tees and casual boys' shirts, which look cool layered up, or mix and match urban-inspired retro styles. Think new denim fits for boys, everyday essentials and new prints for the season.